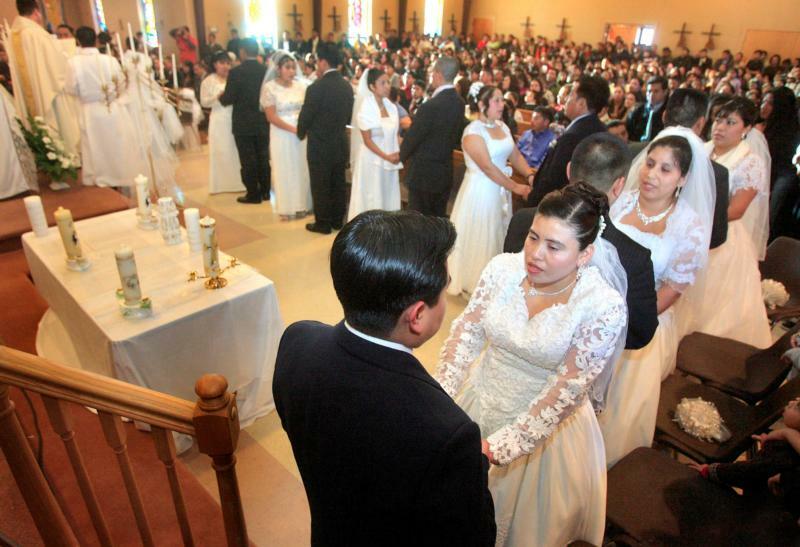 WASHINGTON (CNS) — National Marriage Week USA and World Marriage Day are opportunities for “building a culture of life and love that begins with promoting and defending marriage and the family,” said Archbishop Charles J. Chaput of Philadelphia. The archbishop, who is chairman of the Committee on Laity, Marriage, Family Life and Youth of the U.S. Conference of Catholic Bishops, made the comments in a letter to his brother bishops about the weeklong observance Feb. 7-14 and the international day, observed Feb. 10 this year. The USCCB offers resources in English and Spanish about marriage, the promotion and defense of marriage as a lifelong union of one man and one woman through its websites ForYourMarriage.org, PorTuMatrimonio.org and MarriageUniqueForAReason.org. Additional resources specifically for the celebration of National Marriage Week, including a preaching resource, poster, and prayer intentions, can be found on the USCCB website here. A conversation about marriage will be livestreamed on the USCCB Facebook page Feb. 13. World Marriage Day was started in 1983 by Worldwide Marriage Encounter. “May the Lord reward you for proclaiming, defending and witnessing to the beauty and gift of marriage and the family,” he told the bishops.